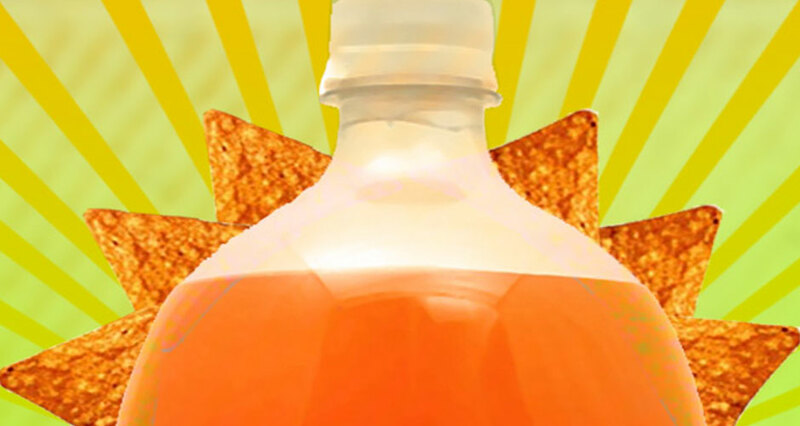 Doritos flavored Mountain Dew = DEWITOS??? I think I just vomited in my mouth a little bit. Sure. The world may be in chaos. The ISIS terror threat our government helped fund, arm and train may be growing at an exponential rate despite continued airstrikes (at Syria’s oil infrastructure and grain silos) and despite continued U.S. troop deployment to Iraq (you know, where Obama promised there wouldn’t be any boots on the ground).There may be a deadly Ebola outbreak killing thousands of people across the globe and counting, with millions of doses of an experimental vaccine being rushed to market without anything resembling proper scientific safety testing.We may be eating genetically modified science experiments that produce their own pesticide on our dinner plates every night without any basic labeling on our food packages to let us know it’s in there. Our government may, in consort with Saudi Arabia, be artificially lowering the price of gasoline to the point that it’s cheaper than milk in order to further stoke the Cold War with Russia into a Hot War that could lead to World War III. In fact, there may be murmurings of a shadow government of psychopathic elites at the top of the pyramid running everything into the ground while the masses acquiesce willingly to their slavery under a They Live form of mass mind control that’s more reality than science fiction film. But who cares about any of that stuff when pretty soon you’ll be able to kick back, watch some football, and drink the pure M-S-Genius that will be Doritos-flavored Mountain Dew?